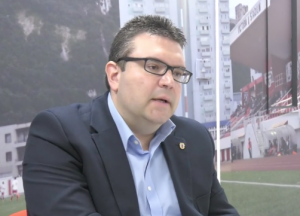 It was great to hear confirmation by GFA general secretary Dennis Beiso that Gibraltar will be taking part in the UEFA Nations League. This is a new competition that launches next year and aims to give a competitive edge to international matches, reducing the need for “meaningless” friendlies as UEFA itself describes them on its website. As the name implies, the Nations League will involve promotion and relegation. The 55 European national teams have been divided into four leagues, with League A featuring the continent’s top-ranked sides as determined by UEFA’s national association coefficient rankings, and League D the lowest. Naturally Gibraltar is in this last group. Which is good news, in my view. “Lower-ranking teams who have struggled against sides ranked considerably higher than them will now get the chance to take part in balanced matches. Teams do not learn and progress by repeatedly losing; now some sides will start winning”. After a dispiriting World Cup qualifying campaign in which Gibraltar finished bottom of the group with no points and a goal difference of -44 (only San Marino, pointless and with -49 fared worse), the Nations League can’t come quickly enough. 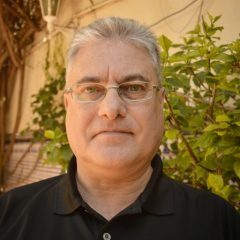 Mr Beiso admitted as much when he said the players are excited by the prospect of finally going into a game thinking, “we can get something out of this”. As he pointed out, it should also be a more rewarding experience for the long-suffering fans who, besides the poor results, have also had to endure 800-kilometre round trips to Portugal to watch Gibraltar’s ‘home’ matches. This too should change, as the GFA is confident the Victoria Stadium will be available by the time the tournament gets underway in September 2018. But the GFA must not be complacent. With Gibraltar competing against other “minnows” expectations will be higher. Supporters who’ve voiced pride in their national team even when it’s been on the receiving end of thrashings in the past by leading nations like Germany, Poland and Belgium may not be so forgiving if we fail to perform against the Maltas and Andorras of this world. League D will comprise 16 teams in four groups of four. We won’t know our opponents until January 24 when the draw will be made in Lausanne, but suffice it to say that it won’t be easy whomever we get. 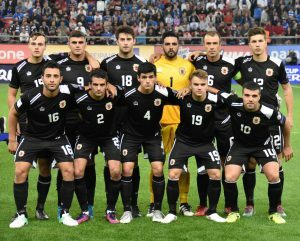 Macedonia and Azerbaijan, two potential rivals, amassed 11 and 10 points respectively in their World Cup qualifying groups. Faroe Islands, once Europe’s whipping boys, got 9 and finished in fourth place, above two other nations. Luxembourg managed an away draw against former World Champions France. Besides winning promotion to League C, where you find countries like Scotland and Cyprus, the bottom 16 teams have an extra incentive: one of them is guaranteed a qualifying slot for the UEFA European Championship. It clearly wouldn’t do for Gibraltar to go into its first fixture in early September lacking fitness as we did at the start of the World Cup campaign last year when we played against Greece before our domestic season had even started. I’m sure that lesson will have been learnt.